The most important thing you want to look for in a remodeling contractor is whether they are licensed, bonded and insured. Being licensed, bonded and insured is very important because it means that the contractor has met the minimum requirements to get a license from the state, and as a homeowner or business owner you want to avoid any contractor that doesn’t meet the minimum requirements. Another effective way of getting to know more about the contractors is by checking online reviews on their pages on websites such as Yelp, Facebook, Google and Angieslist. Don’t just focus on positive and negative reviews but also focus on how the contractors reply to negative feedback. A contractor that is willing to learn more about a client’s negative experience and improve in that particular area is a contractor that will work closely with you even when you encounter problems during the remodeling process. It is very important for a remodeling contractor to be licensed and to also have positive reviews but both of these can’t beat experience. An experienced contractor with years of continuously working on similar jobs will have encountered numerous challenges during the remodeling or permitting process and thus can easily overcome those challenges during your remodeling job too. 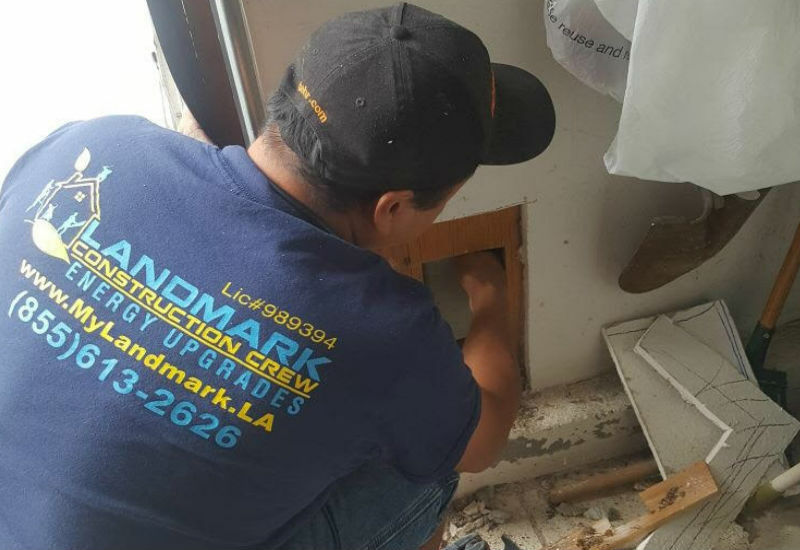 Contact Landmark Construction Crew if you are looking for a remodeling contractor that is Licensed, Bonded and Insured, has positive reviews from clients and most importantly has years of experience in remodeling. Call us at (818) 319-4970 for a free consultation.